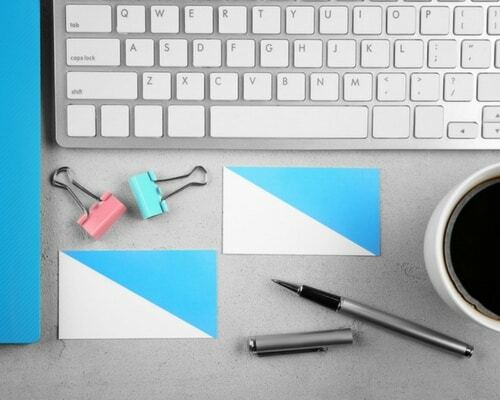 We've researched and read countless amounts of tips on how to get your business cards seen. With so much information at our disposal, it's no wonder we don't know where to start. Here is a small compilation of all the very cool ways of distributing your business cards. Don't just hand your cards out – DROP THEM! Living in a major city like New York, San Francisco, or San Jose, you have an advantage. With millions of people walking through these city streets and riding on public transportation, you have a HUGE marketing hub at your disposal. So, when you're taking that subway or bus and manage to get a seat, drop your card on the seat. When you get up, the person next to you will take a peek at what's been left behind. 2. Can I Pencil You In? Get your business card on a pen. Next time you are at a bank – whether using the ATM or a teller – use your own pen. But don't take it with you. People love pens, and when they see one just laying there, they'll want to keep it. Then every time they go to grab a pen, they'll be reminded of your business. We all go out to eat so often, why not make your credit or debit card do double duty, by getting it branded for your business. Every time you go to pay the check, individuals will get sight of your business. Those who are interested may even ask you for further details or your business card. Next time you need to grab an Uber or taxi, drop your business card in the seat. Drivers usually don't clean their cars out until the end of their shift – so your card will be sitting pretty for a while. People tend to be bored when they are waiting in a checkout line. They will start to look around for things to look at – hence why they place the magazines here. Leave your cards in a little stack so people will be tempted to grab one. Never leave home without them. You'll be surprised who you may run into. Before walking out the door, make sure your business cards are part of your stepping out checklist. Any chance encounter could turn into a business deal, so always be prepared. I know, I know. Most people pay their bills now online, but if you are the exception and you still mail in those checks, why not include your business logo and slogan on your checks.. Paper bills contain advertisements, so counter advertise your business when they open up the envelope. The person who opens your envelope might just need the services and products that you're providing. Whenever you give out a business card, ask for one in return. Not only is this considered business card etiquette but can make the person feel important. Also, take a minute to look at it in front of the person, as is with human nature, they'll reciprocate. Give the cards to anyone who will take them. Friends, family members, your local shops that have known you for years. If they love you, they'll be walking billboards and free advertisement. People love to help and feel like they are a part of something. Anytime someone mentions a service they need that you provide, they will instantly think of you and jump at the chance to give out your cards. Airports are one of the biggest marketing hubs to promote your business. People are usually looking for something to read or do, at times, work on their own businesses, writing emails, etc. You can “drop” your card at waiting areas, the food court, magazine newsstand, and many more. This is free and easy marketing. You can also network with anyone and give your cards out to people. While they wait, they may want to learn about what you do! 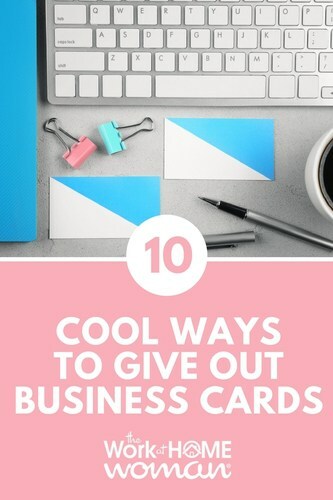 Do you have a unique way of distributing your business cards? Drop us a note, we'd love to hear from you! Interior Designer, Event Planner and a Marketing Director for Gsting Labs all wrapped into one! Khloe Gadson started her company, KG STYLE DESIGNS with not only her love of interior design and event planning but her love for affordability. Growing up, she always wanted to have the best things for her home but they were always so expensive. After knowing that her neighbor had redone her apartment at an expensive cost of 10k, she sought out to start a company that caters to those who don't have $10,000 to throw around. Khloe works with contractors and other companies to not only bring exceptional design but affordable design too. Khloe is also an integral part of Gsting Labs where she spearheads the marketing department. Her innovative ideas and exceptional skills as Marketing Director have helped not only in branding Gsting but branding other companies as well. All interesting ideas, however, doing them lacks a couple of essential ingredients. First, there is no way to track which of the ideas works best for a specific market. Sure, you can ask a new prospect where they got your card from, but they probably won’t remember. Second, there is no personal connection by just finding a business card. Sure, it might drive some traffic to your website, but I would bet that the person who found your card is going there only to research the product or service, in order to then connect with a competitor of yours they were referred to or have met. At the end of the day, we want to do business with people we know, like and trust, and that only happens with a personal relationship. i would be interested in hearing what success rate to actually earn revenue there is from people who commented that they put their biz cards inside clothing at a retail store, or some such indirect method. If it really has a good closing rate, maybe then I will try it too! Rather than spending my time leaving business cards where hopefully people who really need my service will find them, I have chosen and use a system that has allowed my business to be 100% referral only based. Heartfelt referrals are the best as they cut down the time of the sales cycle. Because I have been referred by someone that the person trusts, they automatically trust me. A business based on referrals also allows me to not have to spend my time roaming malls, parks and airports, hoping people who find my business card need my service and will call me. I just found a business card on the ground, in a school playground over the summer. It was dirty, but I was ever so curious. It was for handmade Thai spring rolls. You bet we emailed immediately and bought 2 dozen. I watched my younger brother as we took my daughter to the zoo place his buisness cards on the empty picnic tables throughout the zoo. At first I thought to myself ” what is he doing that for?” seconds later I was thinking ” he is much smarter than I have been giving him credit for!” hundreds of people sit there each day! Way to go Shawn! BRILLIANT!! Your brother had something there. I know this is probably unorthodox to do, but I have put them inside clothing pockets at the gap and even added one or two in their own business card receptacles. If you try the ones I just mentioned, do it at your own risk, and don’t tell them you got that idea from me. Let us know how that works out for you, Michele. Seems to be a crowd favorite! Another idea is to give them to a friend/partner/spouse to put on the bulletin board at their office. Lots of offices have a board of announcements in the break room. Awesome Article! I love the restaurant idea of leaving your card when you pay the check. But I always forget! I got pens but mostly give them out at event. Need to start forgetting them in other spots! I don’t use a lot of public transportation since as a pet sitter I drive from job to job. Glad you enjoyed the tips! Do you have a decal or magnet that advertises you business on your car? I need a decal! Interesting how I don’t have one of those. Before these tips… 1,000+ cards. After these tips…cut down to half that load. Heck, I’m due for a redesign on my cards anyway, plus, I ordered too many the last time. LOL. These are FRESH new ideas! I LOVE the pen idea. I laughed out LOUD when you mentioned dropping the business cards, just the way I read it, made it seem like I should go out and SLAM it onto the ground. Haha. Anyway, I have been really bad about having business cards on me, mainly because I have no place to PUT them, like I don’t have a card holder, but I really need to be more diligent about it. I keep having to write information on a piece of paper – not cool. Glad you enjoyed Khloe’s tips, let me know how they work out for you. Glad you liked the tips. I laugh at this article too. It’s my personality but these tips really do work. Suggestion: put it in practice – ask people that contact you how they find you? One client told me, they got my card from a subway seat because it was too pretty to leave there. yay!! Heck, I use a rubberband to carry them. Using these ideas, I go to art stores and put them in places where people would look for supplies, I also do this at Staples and Office Depot. Have gotten people at least following my blog. Now I know what to do… Thanks!! Try sticking a few in your bra. Just be discreet in taking one out. Khloe, great article! Gonna consider pens, I really like that one. I try to drop cards at all places that serve coffee.